Did you know? 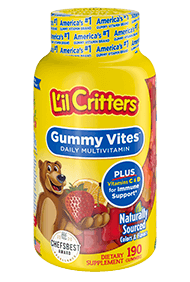 One serving of L'il Critters™ Calcium Gummy Bears contain as much calcium as a 5 oz. glass of milk. Naturally sourced black cherry, orange, & strawberry flavors.